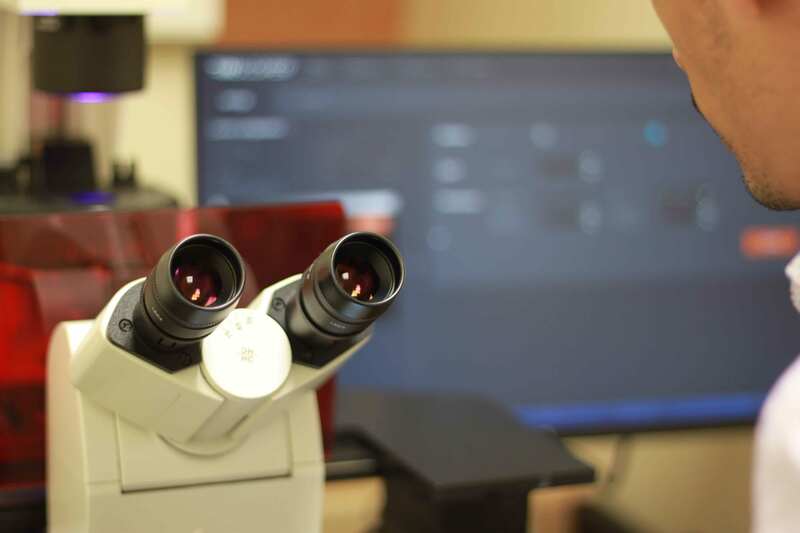 The Inscoper image acquisition solution enables researchers to operate their chosen fluorescence microscope at the highest speed its hardware can handle. The direct consequence of having removed all software latency is a dramatic increase in the frame rate during image acquisition. A considerable amount of time is saved between each multidimensional acquisition configuration change: time-lapse, 2D position, wavelength, and/or Z-position. Increasing the microscope frame rate means increasing its temporal resolution. This is a game changer for observing live moving cells in detail. 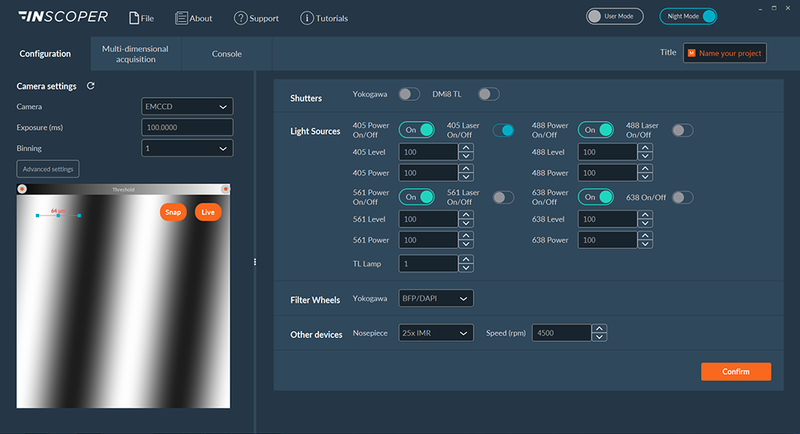 Depending on the microscope and user choices, Inscoper can easily improve temporal resolution threefold (or more) compared with conventional microscopy acquisition and control software. Ratiometric calcium imaging, where the challenge is to alternate the two excitation colors (wavelengths) as quickly as possible. As Inscoper can control any device with any sort of connection, it is possible to add microfluidic devices and configure them in the same user interface. Inscoper means they can be operated during the image acquisition sequence, like an additional dimension with its own parameters. Some researchers require large amounts of sample images. They have to hold the microscope for several hours or more, to be sure they acquire enough data for study relevance or statistical validity. Such long acquisitions can be costly in terms of both time and money. And sometimes access to a shared microscope can be limited due to high demand. With the Inscoper control solution, it is possible to acquire the same amount of images in a third of the time. Its reliable design also means long-time acquisition with precious samples does not suddenly stop for any reason in the middle of the process. 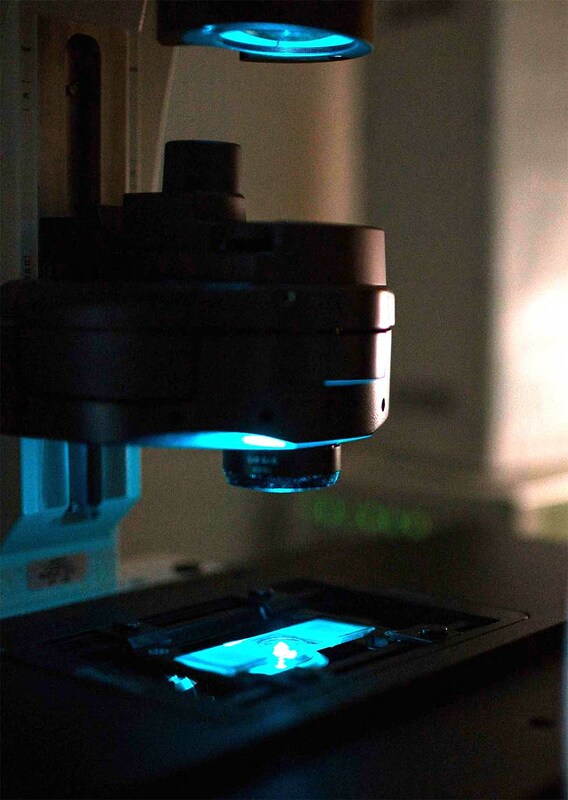 In addition, Inscoper can generate about three times more images using the microscope in the same amount of time. One option is to repeat the same acquisition sequence with other samples, another is to add more dimensions within the same sequence, for example more points, Z stacks or colors. – library generation, e.g. exotic marine samples. Researchers wishing to image thick samples, such as Drosophila, can also benefit from the Inscoper solution. They simply have to equip their spinning disk confocal microscope. We will study and prepare all you need for the implementation. You will be able to use Inscoper very quickly! Acquire images of your research samples and compare them with previous ones. Take a few weeks to get feedback and make a decision. -> Not interested? We restore the microscope to its previous configuration. -> Scared to go backwards? Then just buy the solution! Please, fill in this contact form to ask for the demonstration of our solution on your microscope. These provided details will help us better prepare the demonstration.